Click here to enlarge to top photo! A frequent statement about the mystery of the John Kennedy Assassination: someone who was intimately involved with Lee Oswald would have surely stepped forward to divulge secrets! One of those “someones” was Judyth Vary Baker, the mistress of Oswald during 1963, when, as a cancer researcher, she became involved in what had been known as the “Project.” The Project partially consisted of plans about clandestinely killing Dictator Fidel Castro. Baker’s gradual involvement from a bright and promising student in cancer research into the murky world of espionage and political undercover was adequately explained in her book as a participant and lover of Lee Harvey Oswald. That she survived personal assassination, as so many other participants have not, was truly amazing. Fortunately, she had survived, and the results were the missing pieces of the Kennedy fiasco. The inner-workings of the corrupt world of crime and government espionage, that included many players in New Orleans, were in the 1963 fiasco; most were part of an ultra-right-wing political movement to fight Communism; many, however, were only interested in power. # The Project, Alton Ochsner, Mary Sherman, and David Ferrie. A crucial person in Judyth’s career was Dr. Alton Ochsner, one-time President of the American Cancer Society, and Chief of Surgery at Tulane Medical School, and then President of the Ochsner Clinic in New Orleans. Ochsner had also directed INCA (The Information Council for the Americas), an anti-Communist organization in Latin America. Dr. Ochsner also led Judyth, slated for an internship at Miami University, into another internship with a Dr. Mary Sherman, director of Ochsner’s bone pathology laboratory at Ochsner’s clinic. Sherman was one of the foremost cancer researchers in America. Sherman admired Judyth’s experiments with the carcinogenic SV-40 virus and other fast-growing cancers. 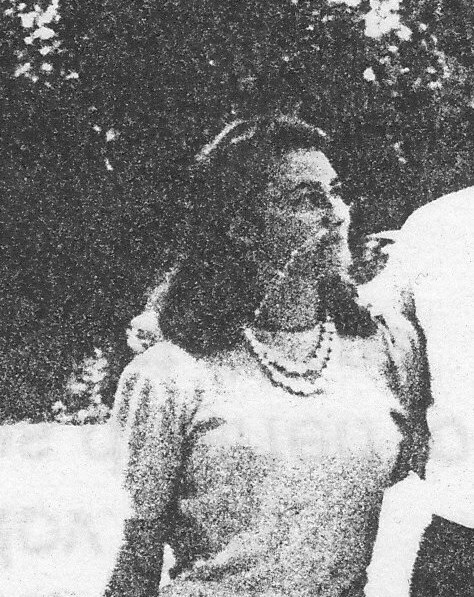 Baker’s dream was to continue medical school at Tulane, but such as dream took a careening detour on April 26, 1963 when she met Lee Oswald at the post office. It was a spectacular coincidence. The secret laboratory was introduced to Judyth through David Ferrie, former Eastern Airlines pilot, and CIA (Central Intelligence Agency) operative enmeshed in the New Orleans Ultra-Right. Other right-wing CIA operatives, who wanted to see the success of the Project and the defeat of Fidel Castro, further camouflaged the secret operation. Ferrie was an “operator” that lurked behind the scenes throughout the Kennedy Mystery. Ferrie’s homosexuality caused him to be defrocked from the priesthood and the loss of his job at Eastern Airlines. It was not enough, however, to dissuade the CIA from using him. Ferrie was a valuable “player,” especially, because of his New Orleans Mob connections. David Ferrie’s apartment became one of the sites where experiments for the “Project” was central. Mice with tumors were “harvested” there for use in the bio-weapon. Dr. Sherman oversaw their transport to her Prytania Street laboratory. # Guy Banister. Ironically, Guy Banister was a private detective who was under the pay of Mobster Carlos Marcello, while also investigating corruption in the New Orleans Police Department. A former FBI agent, Banister, at one time, had been in charge of 500 FBI agents in the Chicago region. He now spent a good portion of his efforts to uncover Communist traitors and radicals. Banister was fairly aware and active in many get-Castro projects, such as the bio-chemical project. # Carlos Marcello. The powerful Godfather of New Orleans, eager to aid the get-Castro movement (in revenge for the Mob being rioted out of Cuba), protected the “Project,” as well as harass and deport suspicious Cuban spies (pp. 218-219). Later, under the Kennedy brothers’ heavy thumb in challenging corruption, Marcello and other mobsters vowed to kill Kennedy. # Clay Shaw. In 1963, Clay Shaw was General Manager of the International Trade Mart in New Orleans, and one of the main parties in the 1967-1969 trial of Shaw by District Attorney Jim Garrison for conspiring to murder President Kennedy. Shaw denied knowledge of Lee Oswald, though Judyth said that they definitely knew each other, and, in fact, Shaw drove the black Cadillac on Thursday, August 29, 1963 to Jackson, Louisiana. Oswald was a passenger. Clay Laverne Shaw reserved a room for Oswald and Judyth at the Monteleone Hotel on Sunday, July 7, 1963. Photo Left: Clay LaVerne Shaw, General Manager of the International Trade Mart in 1963, New Orleans. Shaw was acquitted of charges in the Garrison trial. The jurors, however, were still suspicious of a conspiracy. Richard Helms, former director of the CIA, testified in 1979 that Shaw was, indeed, a CIA Domestic Contact Service Operative. “Shaw represents important anti-Castro interests,” Lee Oswald told Judyth. # Jack Ruby. Judyth’s introduction to Jack Ruby began with gossip that Burlesk strippers shared with her. Ruby apparently worked for Godfather Carlos Marcello. 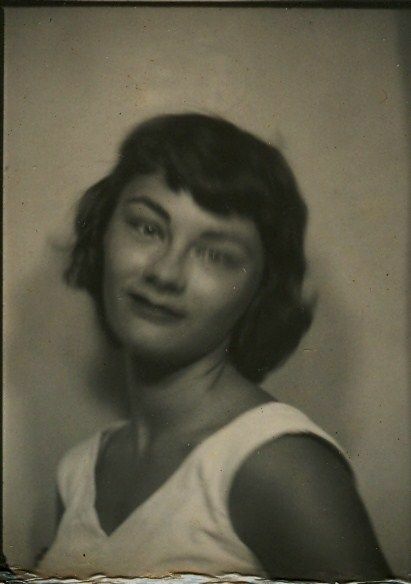 “Ruby handled Marcello’s interests in Dallas,” said Baker, “including cop-fixing.” Judyth’s first meeting with “Sparky Rubenstein” was on Monday, May 6, 1963, at the home of David Ferrie. Lee Oswald was also present. The next time Judyth met “Sparky” was on Thursday, June 6, 1963 at the 500 club on Bourbon Street, along with Carlos Marcello, Clay Shaw, and a few other underground “dignitaries,” to talk about the “Venezuelan (arms shipment) matter.” Judyth came with Lee Oswald, David Ferrie, and David and Anna Lewis. At one point, “Sparky” signaled Lee Oswald to Marcello’s table to discuss “how to handle” the Venezuelan shipment. The final time Judyth saw Jack “Sparky” Rubenstein was on television with the televised assassination on Sunday, November 24, 1963 of Lee Oswald by Ruby. Judyth asked about a glance Oswald gave a second before his assassination: “Did Lee recognize his old friend just seconds before he was shot?” Jack Ruby told Baker that he had known Oswald since Oswald was a child (p. 236). Espionage was a childhood ambition of Lee Oswald. He wanted to become an undercover government agent ever since his viewing of the television series I Led Three Lives (1953-1956) about international intrigue and FBI espionage (p. 133). David Ferrie recommended Lee to contacts in the Marines that would pave the way for Oswald “as a candidate for intelligence training, including lessons and spy craft.” (p. 197.) Baker mentioned in the book that officials remarked of the teenage Oswald as a good prospect. Judyth Baker endured a great tragedy. After many tears, she chose to live on. This painting has no people. It is a bleeding mountain!